MP3 Diags is a software download designed to allow end-users to identify issues with their MP3 files, fix some of the issues and make other changes, like adding track information. It also lets you "look inside" an MP3 file. MP3 Diags is not really meant for those who want to push a button and have everything fixed automatically, but rather for people who have some technical background, who are rather picky about what's in their MP3 files, and who are willing to spend some time to get them right. 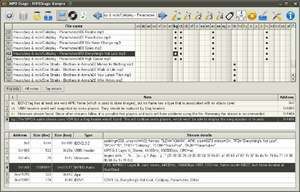 Version 1.2.03 is a freeware program which does not have restrictions and it's free so it doesn't cost anything. For security reasons, you should also check out the MP3 Diags download at LO4D.com which includes virus and malware tests. Additional screenshots of this application download may be available, too.